US Farm Bill – What’s next for organic? How many years and how many blog posts have we spent on the Farm Bill? With all the dysfunction in DC, we all thought all the glaciers would melt before Congress passed this large piece of legislation. My friends, the Farm Bill is about to become reality! As I reported last week, the House passed the conference report on the farm bill with a vote of 251 to 166. Following close behind on Tuesday, February 4, the Senate approved the conference report, with a vote of 68-32. President Barack Obama will be in Michigan on Friday, the home state of Senate Agriculture Committee Chairman Debbie Stabenow. She has been a huge leader and supporter of organic agriculture in the bill and led the Senate to final passage. President Obama will sign the farm bill in Michigan Friday, March 7,, after delivering remarks at Michigan State University on the importance of the bill to America’s economy. One very important inclusion is language that allows organic farmers, distributors and marketers access to the same agriculture research and promotion programs available to conventional farmers. The new language authorizes USDA to consider an application from the organic sector for its own check-off program. A check off program is a path to abundant funding for research and education for promoting the organic label. If the organic industry chooses to create this type of self- funding, we may see the dawn of a new era for organic growth. I can see a future where there is plenty of money for research. No longer will Monsanto and Syngenta be the only funders for seed research and development. When fire-blight or citrus greening strikes orchards, organic scientists will be completely funded and at the ready to develop organic alternatives to fighting crippling disease. There will be support for new diverse and innovative organic growing techniques that help combat drought and the ever chaotic climate changes. 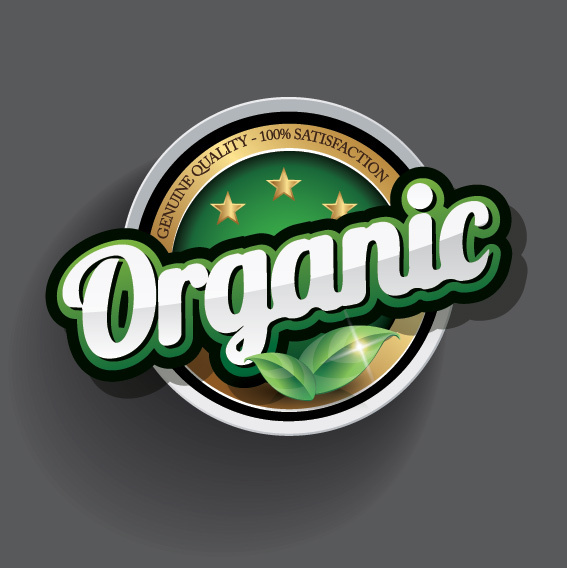 The mystique of the organic label will be clarified. Morning readers will grab their national newspaper and take in a full page ad describing what organic really means. They will discover the teeth behind the regulations along with how delicious and sublime organic food can be. There will be guidelines on how to eat organic and still stay within a budget. There will be exotic and delectable recipes highlighting organic ingredients. The benefits of organic fiber will be revealed as a smart and healthy alternative fashion choice! Soon thereafter organic food and fiber will be realized as the truly cool choice for millions more North Americans. When folks get the opportunity to understand how this buying choice can affect their health, the health of their children, the soil and the climate, they will seek out more organic products. Small local growers will flourish at farmers markets as consumer eyes are opened. National chains will convert more shelf space to organic products and fresh produce because of newly invigorated demand. Farmers will see this growth as an opportunity to convert more acreage into organic production and ditch GMO seeds. Farmers will no longer have to pay into conventional check off programs with their organic production. Since GMOs are forbidden in organic production, the advent of new GMO deregulation will decline and someday be obsolete. That is just one version of a rosy future that can be painted with enough cohesive and thoughtful funding. The details of how this program could be administered are yet to be developed. Everyone can weigh in and play a part in how the program could work and what the program could potentially do. If this excites you, check out the website United For More Organic to learn more. Then, throw your hat into the ring: weigh in. Don’t you look forward to the day when the organic label is a household symbol trusted and understood by all consumers? Tell me what you think is next for organic! This entry was posted in Farm Bill, Organic Policy and Regulations, What is Organic and tagged Farm Bill, Organic Agriculture, Organic Trade Association. Bookmark the permalink. ← Don’t Stop, go to the Organic One Stop Shop!